So you’ve got limited time and even fewer hands to get your MVP out the door. That’s cool. It happens. Or maybe you’re applying for a design job and they want to know how you work under pressure. Maybe with an otherwise inadequate time window. Plus, it’s “just” a job application, so you want to minimize the time you’re working and not getting paid. Time to prioritize and find a way to get it done. The design thinking process is designed (no pun intended!) to generate the best possible product for your audience. That being said, no one ever accused the process of being the most efficient. But when time is of the essence, there are ways to speed things up without sacrificing quality. Let’s talk about some ways to work smarter without working that much harder. Before we get into the “how” of optimizing this process, let’s take a step back and take a look at the “what” and the “why” of the design thinking process. If you’re creating a brand new product or applying for a job in the tech industry, odds are you’re going to use design thinking to get ahead. 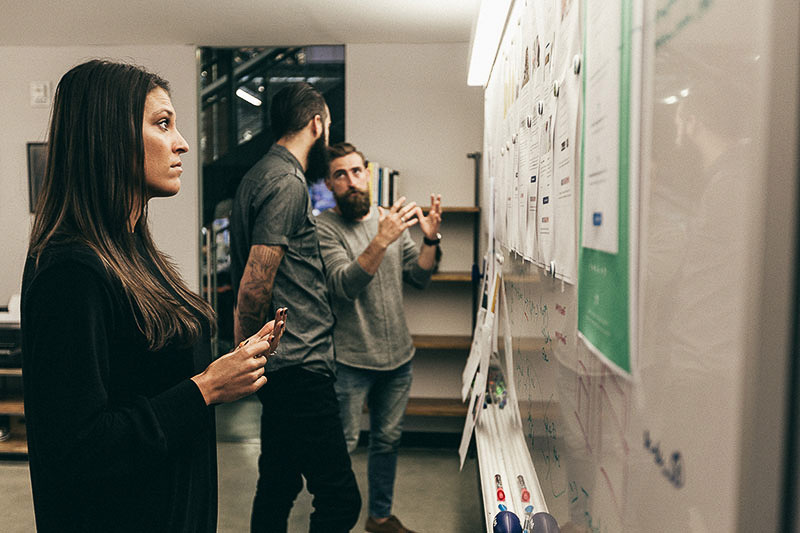 Design thinking is a human-centric, iterative process that many companies are utilizing to better understand their users, challenge common assumptions, and redefine the problem they face. It’s made up of five core phases: empathize, define, ideate, prototype, and test. What we’re looking at is more than simple rapid prototyping. Fast is good; efficient is much better. In the world of product development, there are ways to remove inefficiencies from the design process without forgoing the speed. There’s no need to, as Facebook so famously used to put it, “move fast and break things”. Image from Inside Design: DocuSign. 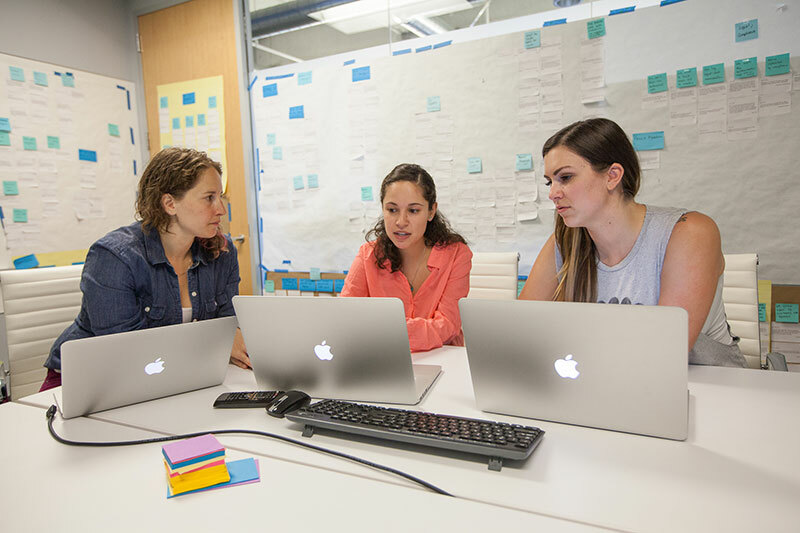 Invest equal time in research, design, and feedback. How’s that old saying go? An ounce of prevention is worth a pound of cure? It’s often easier to prevent a problem from happening than it is to fix something once it’s broken. Make sure you’re investing equal time in the early stages of the design thinking process (empathize and define) so that you’re spending your limited resources in the right areas. This will also make it easier to iterate on and refresh your ideas later in the process. The more information you can gather from your stakeholders, the better prepared you’ll be. All prototyping is rapid prototyping, but it’s not all done at the same fidelity. Low-fidelity prototypes are things like wireframes and quick sketches. High-fidelity prototypes are the screens you upload to InVision to share with your colleagues and stakeholders. But what about the middle ground? To save some time and energy, try making a “mid-fidelity” prototype: a set of quickly designed screens with some color and imagery, but without animations and that last bit of polish. Get feedback before you cash in all your chips on an idea. Wait on the fine tuning. Sometimes, it feels like the last 10% of a project takes 90% of the time and effort. To keep yourself from getting bogged down in the details, make sure you’re saving them all until the end of the project. A side benefit of doing this is that if you’re added fewer details, you run less risk of falling in love with a “finished” project. That makes it easier to make changes without hurting anyone’s feelings. The reason it’s called a minimally viable product is because it’s the least it can be, not the best. If you’re struggling to get your product just right, you may be fighting perfectionism. In order to iterate, you must first create. Get what you’ve got out the door and in front of your audience. Then ask them how to improve (instead of relying purely on your instinct). The quickest way to achieve perfection is to admit to yourself that you need feedback. Working in one tool is a great way to save time and energy when you’re working on a new design. InVision Studio offers a suite of tools all bundled into one application. Studio is is early access now, so give it a try!